Women matter for business and economic growth. It is a no-brainer, but somehow requires constant reminding and research. Women matter for business and economic growth. It is a no-brainer, but somehow requires constant reminding and research. Women are half the consumers and talent resource, and it is only common sense that they should have an equal role in the economy and decision-making, too. According to a study by McKinsey Global Institute in 2015, advancing women's equality could add $12 trillion to global economic growth in a decade, raising it by 11 per cent, compared with the business-as-usual scenario. The Indian economy would be the biggest gainer of gender equality as its GDP could be 16 per cent higher in 2025, the study claimed. A Grant Thornton study on the financial impact of women's involvement in corporate decision-making showed that in 2014, listed companies in India without any woman on their boards suffered an opportunity cost of $14 billion. Another study by Korn Ferry and National University of Singapore in 2015 showed that companies with more women on their boards tend to be more profitable. The study covered the 100 largest publicly traded companies in 10 Asia-Pacific economies, including India, and concluded that those with at least 10 per cent women directors delivered 14.9 per cent return on equity (ROE) while the companies without women directors delivered only 12.6 per cent ROE. However, the old habit of exclusivism in assigning economic roles continues. Women's participation in labour market and their presence in decision making positions continue to be sparse. Even after taking into account the fact that a lot of women choose to work for gratis for family instead of working for an income, the low presence of women in workplaces does not reflect their educational and occupational qualification. According to the World Economic Forum's Gender Gap Report for 2015, there is a huge gap between educational attainment and labour force participation of women. While the gap between men and women at the higher education level is only 2 per cent, and at the secondary education level it is 12 per cent, there are only 29 per cent of working-age women in the labour market compared to 83 per cent men. Women's disproportionately low presence in leadership roles in companies is even starker. According to Prime Database, only 13.5 per cent of all director positions on 1,556 NSE-listed companies have gone to women. About 70 companies have not yet complied with the new law that requires nearly every listed company to have at least one woman on its board of directors. The compliance burden has resulted in 80 per cent of NSE-listed companies having only one woman director. Only 2 per cent of these companies have three or more women directors. 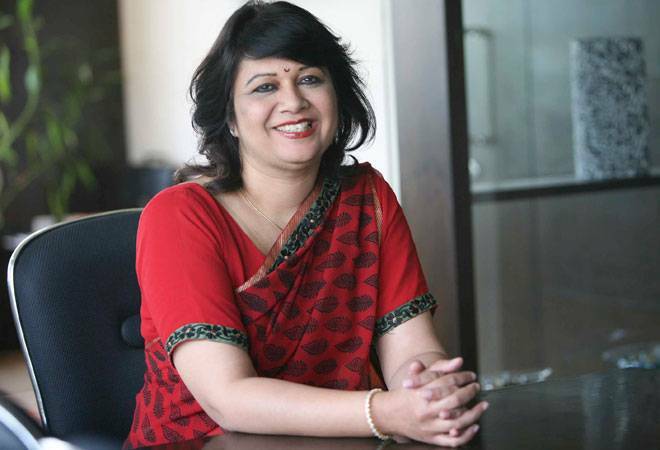 A study by Standard Chartered Bank and its research partners has shown that in 2015, only 5.3 per cent director positions in BSE 100 companies were with women. What is rather remarkable about this situation is that it runs contrary to economic logic. Indian companies constantly complain about shortage of talent, yet they do not hire or promote women in adequate numbers. In fact, Indian companies lose a lot of women because of lack of equal pay for same work, work-life balance and trust in future prospects. This leakage of talent imposes substantial cost on businesses. Still, most companies do not even realise that they are losing out by not tapping all the human capital available to them. The business case for having women in decision-making positions is also quite obvious but somehow a lot of the companies just do not see that. The value of diversity of knowledge is commonly understood and that is why different opinions are sought in organisational decision-making. Only that women are usually not invited to the table. A narrow spectrum of thinking and easy consensus often make the business outcomes sub-optimal, if not altogether disastrous. Most of the companies continue to see women primarily as consumers and not as resources for leadership and innovation. Typically, companies buy market research about what women want instead of actually asking women to decide what to make, how to monetise that and what to make next. Women make an important difference to the quality of decision-making, especially at the board level. Just by disrupting the old boys' consensus, women ensure greater scrutiny of choices and outcomes. This reflects in improved business performance and stability. Women also tend to ensure greater prudence, as they typically care more about preserving the company. According to a study by Leeds University Business School, having even one woman director on the board reduces a company's chances of going bust by 20 per cent. While women CEOs and directors are equally obligated to deliver instant growth and stock appreciation, they tend to be more protective of the company's business and are less prone to betting the future of the enterprise for immediate sweepstakes. To fully utilise the potential of gender diversity in improving business outcomes, it is also necessary to remove the entrenched segregation of sectors and functions. Most of the educated women get channelled into the education, healthcare, banking, NGOs and government services. There are not too many women in manufacturing, infrastructure or even IT. Similarly, women get herded into the so-called soft functions. According to a Grant Thornton report, 21 per cent of women among the senior manage-ment in India are heading the HR department. This gender segregation inflicts a cost on the business as it deprives all sectors and corporate functions of diverse talent pools. However, there is a growing realisation of the limitations of gender stereotyping and restrictions. Progressive states now allow women to work in night shifts. The IITs and the IIMs are offering concessions and incentives to get more women into engineering and management. Even the Indian Air Force has inducted its first batch of women fighter pilots. Indian companies need to take a cue and prepare for greater gender diversity from shop floor to boardrooms. They are obligated to their shareholders to produce the best business outcomes and women can certainly help them deliver!